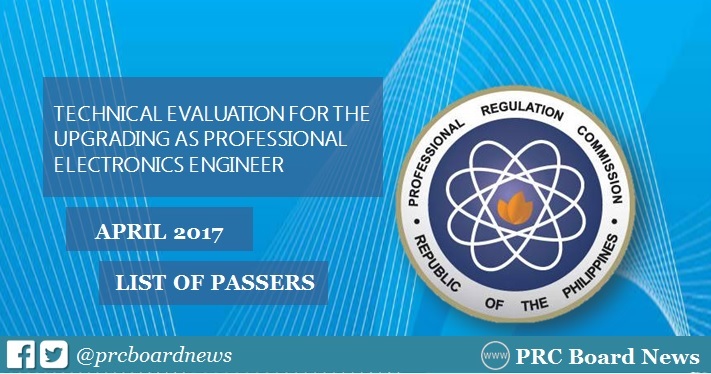 MANILA, Philippines - The Professional Regulation Commission (PRC) released the results of April 2017 Electronics Engineer (ECE) board exam together with the results of technical evaluation for the upgrading to Professional Electronics Engineer (PECE). In October 2016, a total of 72 applicants passed the PRC evaluation. Meanwhile, 35 successfully hurdled the test in the same period last year.